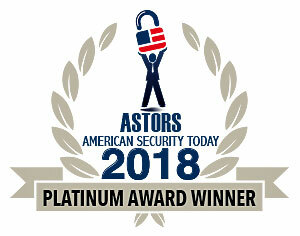 Automatic Systems America, is a Platinum Award Winner in their Third Consecutive ‘ASTORS’ Homeland Security Awards Competition, and a Proud Sponsor of the 2018 'ASTORS' Awards Presentation Luncheon. Automatic Systems has put together this comprehensive guide, suitable for beginners and experts alike, which addresses the critical issues for selection and design of pedestrian entrance control systems. Turnstiles and other Pedestrian Entrance Control (PEC) devices are increasingly common in modern security system projects, both for new construction and for upgrades to existing systems. If such products are part of your short or long term security strategy, you may have wondered where to find some quick training on turnstile system design. Why the recent increase in demand for Turnstiles and Pedestrian Entrance Control Systems (PEC’s)? So are you in that place right now and are wondering where to start? Well, look no further for solutions and resources! Automatic Systems PAS76X is an automatic top security gate designed to ensure controlled and rapid passage flow from a secure area (SA) to an Non-secure area (NSA) by preventing any passages in the reverse direction. We have put together this comprehensive guide, suitable for beginners and experts alike, addressing the critical issues for selection and design of pedestrian entrance control systems. End user security directors, security consulting engineers, architects, and security integrators will all benefit from the information we gathered for this article. We will help you justify the need for pedestrian entrance control (turnstiles, or PEC’s), review a bit of turnstile history, types of security lanes, typical applications, explain basic system components. We even offer a formula for calculating your ideal # of lanes, and provide many useful tips for designing a great system. First a short history lesson. Humans have employed pedestrian entrance control for thousands of years. Turnstiles just happen to be our modern answer to the age-old need, anyplace where we wanted to control who is getting in. We can imagine in the stone-age a cave man would have rolled a large boulder in front of his entrance to block out intruders. In more modern times we have employed door locks and keys for a couple hundred years. Over 100 years ago the first revolving waist high turnstiles came on the scene, to control customer traffic flow in a retail grocery environment. More recently, optical turnstiles using IR photo-beams with/without moving barrier arms and wings became very popular over the past 20 years. Now today, we have IP networked, highly efficient security lanes of all types for the most secure and demanding high volume office tower applications. What are Turnstiles and PEC’s anyway? Turnstiles control WHO is getting in. Most times the access control integration is via dry contacts but some systems allow for software level integration. The main advantage of turnstiles is that they make your lobby staff/security team more effective and efficient. When and where do you need a turnstile/PEC? Typically we look for any secure building or campus having a minimum of 500 authorized occupants, and where every credential (access card, biometric, or other) is currently checked by an access control reader and/or monitored by an officer or lobby staff person. These conditions make for an excellent prospective application for automated pedestrian entrance control. Because the secure facility has an interest in controlling access to authorized persons (the security need), and manpower is currently employed to that end (potential for improved efficiency = this is your ROI). Today’s turnstiles and pedestrian entrance control come in a number of forms and types. Waist high (tripod) or full height (7 foot) versions. A card reader, pushbutton, or other authentication device grants a credit, and passage is allowed to only one person per credit. Typically handicap access must be provided separately because mechanical turnstiles only facilitate able bodied persons. No electronic detection, and requires manual pushing of the tripod arm or full height comb for entry. Advantage: generally lowest cost type of turnstile. Pure optical turnstiles will detect passage per person and will alarm if unauthorized persons enter or exit (the number of access authorizations or valid card reads is compared to the number of passages. Optical turnstiles are widely recognized as being a valuable aid for lobby staff (security officers, etc.) in that they help to single out individuals needing further assistance (expired credentials or unprocessed visitors). ADA access is easily accommodated by designing 1 lane with an accessible width of 36 or more. Advantages: higher throughput, no touch operation and architectural friendly design. Sometimes referred to as Speedlanes, SlimLanes, or Smartlanes, these next-generation optical turnstiles include either swinging or retracting (sliding) glass or other physical barriers to further discourage unauthorized access attempts. Advantages: greater security, requires less monitoring. The TRS370P by Automatic Systems is architecturally designed with clear acrylic mobile obstacles, in order to meet the demand of architects and clients requiring full height security turnstiles that are suitable for indoor applications. Security revolving doors are like their more traditional revolving door cousins, except that they incorporate a card reader/authentication device and some piggyback/tailgate detection to control access of one person per transaction. Generally, non–authorized persons are not allowed to pass. ADA access would be through the companion product, often called Security Portals – which comprised of a pair of interlocking doors surrounding a small secure booth (mantrap). Advantages: High Security, can operate in an unmanned entrance way, ideal for data centers and high security, low throughput environments. Motorized Swing glass gates and manual access control gates provide a partner product/ complement to some of the above products in certain environments. *This article focuses on barrier type optical turnstiles because of their prevalence in the market today, but most concepts presented here will apply to PEC’s in general. Turnstiles are utilized in a wide variety of industries and applications. Healthcare, transportation, educational, entertainment, pharmaceutical, financial, and energy company corporate offices, large downtown property management buildings, HQ and administrative offices of practically every type of company. Optical turnstiles with barriers are a visual deterrent that can help prevent unauthorized, undetected entries to your facility. Typically a Turnstile/PEC decision involves a number of stakeholders in the decision and design stages. How many lanes should be in the design? One of the most asked questions by end users, integrators, architects and others – this question has been the subject of other articles and papers written by myself and others. Let’s keep the answer simple, because it really is easy to answer. We could get into very detailed calculations about throughput optimization, shift staggering, visitor policy, break area locations, and card/biometric reader types. How many entrances are going to be utilized in your access control plan? You will need minimum 2 lanes for each entrance, assuming space available. One lane would be ADA compatible in most cases. Is our space limited in terms of width and depth? In some cases you can accommodate for the lack of real estate by utilizing slim cabinet type (slim lanes) in your design. Sometimes in older buildings the lack of available space will requires some creative design (ask your vendor for engineering resources). Taking the above data into consideration, we apply the following formula. visitors, on a daily basis? Let’s call that total number C.
Next, simply divide C by 500. The result L is the number of recommended lanes. We hear a lot about ratings and certifications for electronic security products, such terms as UL, IP, and MCBF. What do they mean to us as we design a turnstile/PEC system? UL (Underwriters Laboratory) certification – Assures safety both electrical and mechanical. Satisfies local jurisdiction concerns. Look for a product that is certified as a system, not just for certain components. Turnstiles and related systems are certified to other UL325 or the more specific UL2593. Both are considered as standards for turnstiles and gate type products. IP – Network Ready – Allows for immediate or future tie in with company networks and information systems. Some manufacturers provide real-time access via a closed network to lane control, scheduling, monitoring and diagnostics. MCBF – Mean Cycles Between Failure – independently tested under controlled verifiable conditions ensures life of the product. Generally an MCBF between 5 & 10 million indicates trouble free operation for 10 or 20 years. National & local regulations must be considered. 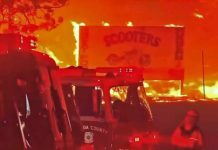 ADA regulations, the International Building Code (IBC), and fire emergency egress codes like NFPA 101 & 72 will impact system design. Make sure your system design is in compliance with all applicable codes. In addition, the local AHJ and the building’s insurer may have their own interpretations of national codes requirements which may also affect system design and layout. At a very minimum, all lanes must provide egress to persons without prior knowledge, and oftentimes alternative exists must be available beside the turnstiles. Quite often your corporate culture and your architectural influences will play a major role in the system configuration, layout, and options. Is your building subject to historical commission restrictions? Is an architect employed or retained by your firm who might have input into your decisions? Does the corporate security culture allow for denying employees access when their badge has been left behind accidentally? What is your formal policy about requiring badges or credentials to be presented for both ingress AND egress? And many times the balance between corporate culture/architecture vs. security policy also affects the selection of type and size of glass barriers that will be used in the design, heights generally range from 35 to 72. There are some additional architectural and security functional considerations. Your turnstile or PEC may need to blend with existing or planned features nearby, such as custom bronze, brass, or other metal finishes, marble or other natural stone tops on your turnstiles. Special turnstile cabinet/pedestal designs for biometric readers (fingerprint, facial etc. ), visitor bar code readers, Bluetooth, or cell phone NFC readers may be integrated into turnstile cabinets and this should be accounted for in your design. Plan to utilize extended cabinets for enhanced detection in a high security application. Extended Post (EP) turnstile cabinets may be utilized if you will need other peripherals integrated, such as elevator destination dispatch screens, or other corporate messaging screens. What is your timeline and when should you start your design? The sooner you start designing your system, the less will be your cost. Of course the budget available for the project will influence system design. The thing that is important to note here is that the earlier the pedestrian entrance control system is planned for in a new project, the lower the overall cost of the system. The project timeline can influence product selection, especially for special finishes and corporate branding. Lead times for turnstiles and PEC’s can range from 8 to 18 weeks in many cases. If lead time is of concern, look for a North American manufacturer who can respond to your schedule needs. Lobby security staff costs will certainly be expected to decrease as the result of this new entrance control system. If that dollar value can be estimated then it is quite easy to calculate a ROI (return on Investment) or a Payback Period for the new investment, in order to please management. But the Security Director can also look for additional support from other departments, such as Human Resources, IT, and Marketing in certain cases. A more secure environment is more attractive to new employees and to new tenants (in the property management example), and the IT systems can be tied in with IP ready security devices. A resourceful security director should be able to garner internal support for the investment. Generally the upfront costs for turnstiles range from $10,000 to $45,000 per lane, depending on many factors (type, finishes, options, etc.). But you should also plan to ask questions of vendors upfront about the total cost of your entrance control system. Pedestrian entrance control devices physically prevent access to those without proper credentials. The total cost includes maintenance (planned and unplanned) over the lifetime of the system, typically at least 10-15 years. Ask if the manufacturer of your system offers either a 1, 2, or 5 year warranty with their equipment, and if they share their Preventative Maintenance Schedules with clients. What is the real cost of downtime, in terms of added staffing costs and loss of goodwill? A low sticker price may really mean a much higher lifetime cost of the system. This is an area where supplier references can help a great deal, by sharing their experience about breakdowns, availability of parts and service, and loss of use. We hope that you found the information presented here to be helpful as you being to consider an addition/upgrade or replacement of a turnstile system in your facilities. Most folks don’t select and design turnstiles every day, so calling upon experts is a real good idea. For that reason we recommend engaging a security design consultant, a quality manufacturer, and your local system integrator for further help. Mike McGovern is a 20 year security industry veteran and has been helped design turnstile and pedestrian entrance control systems for some of North America’s most secure and prestigious campuses, companies, and government agencies. He serves on the ASIS Physical Security Council Education Committee and has authored numerous articles on security entrance control and related subjects. Mike is Regional Sales Manager for Automatic Systems, and is based in Boca Raton, FL. Automatic Systems, is a the world leader in the automation of secure entrance control equipment for vehicle and pedestrian access, and have been designing and manufacturing pedestrian, vehicle and passenger access systems for over 45 years. The company has a global presence, with subsidiaries in Europe, Asia and North America, as well as a vast network of distributors. Currently, there are more than 90 million daily users of Automatic Systems equipment worldwide.